The story of the Sourashtra script begins, in a sense, in Japan. 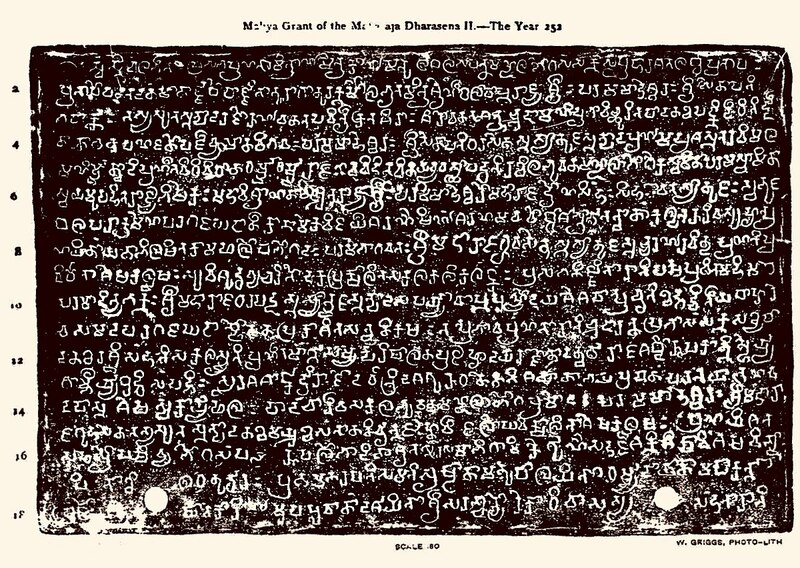 In the 1980s Norihiko Ucida, a Japanese scholar, went to Madurai, in southern India, to research Sourashtran — something of an island of a language, as the Sourashtrians originated in Gujarat but migrated to the Madurai area, in Tamil Nadu, where (not surprisingly) they were surrounded by Tamils, whose languages derive from an entirely different language family. The move toward centralization and unification of languages in India, which to some extent had begun under colonial rule, gathered force immediately before and after independence. 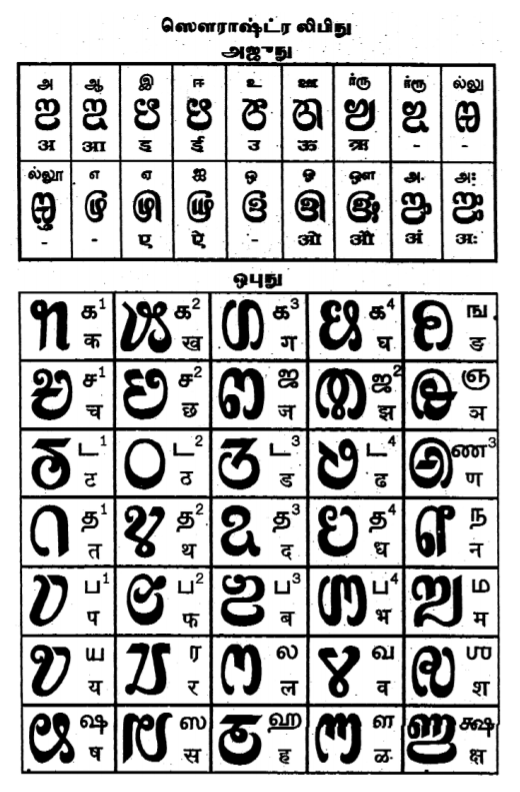 Between the wars, a resolution was passed to adopt the Devanagari script for the Sourashtra language. 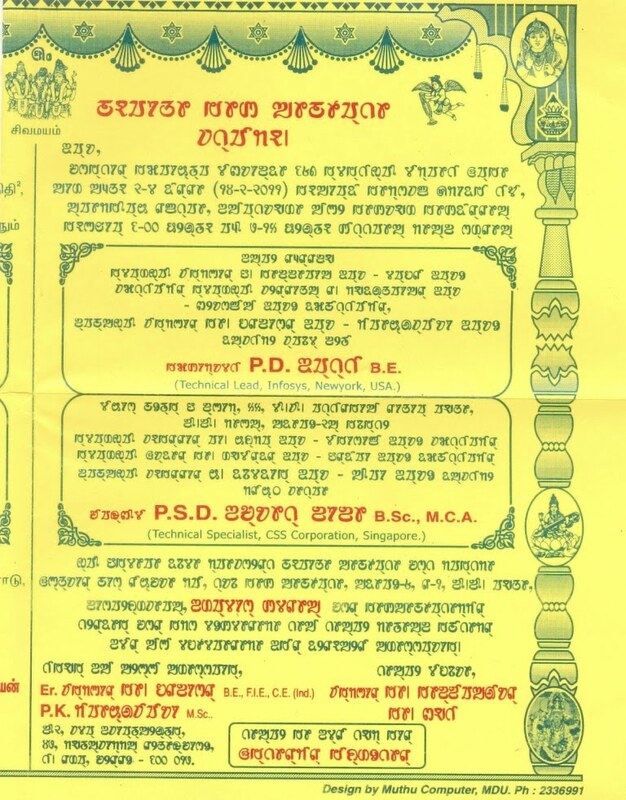 When the case for teaching Sourashtran in schools was presented to the state’s Commissioner for Linguistic Minorities in 1964, who had been sent a copy of a book in Sourashtran, the Commissioner seems to have come up with a Catch-22 argument: as he had been sent only one book for scrutiny, there was no point in examining the merits of the issue. The question of printing textbooks in Sourashtran would have to wait until a large number of books was available for examination. The point was, Sourashtra did not fit in. Devanagari needed at least seven extra characters to represent the full range of the Sourashtran spoken language, and for some it also epitomized the authority of the voice of government up in Delhi. 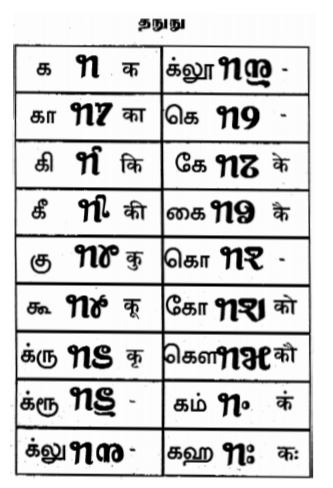 Tamil (which most Sourashtrans speak to a virtually bilingual degree) worked up to a point, but only when a number of superscript marks were added. With the new millennium, though, the tide changed. Even though, as is the case with language communities all over the world, the Saurashtra community is conflicted (Devanagari or Tamil or Sourashtran? Ancient or modern? Global or local?) a series of journals and other publications have appeared in the script. In 2007 a former Sanskrit Professor of Sourashtra College in Madurai, T.R. Damodaran, won the Sahitya Akademi’s Bhasha Samman Award for Sourashtra language for his book Jiva Sabda Kosam, a compilation of 1,333 Sourashtra words with English and Tamil meanings compiled with help from the Central Institute for Indian Languages. 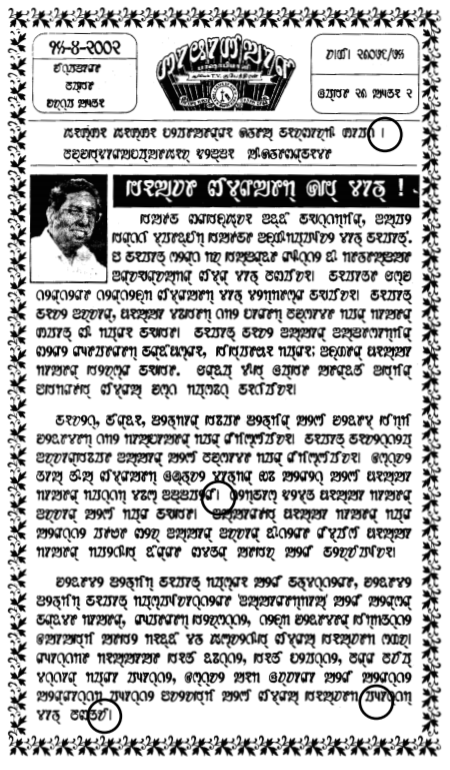 There are Facebook groups and websites dedicated to teaching and reviving the Sourashtran script, and an online newspaper in Sourashtran and Tamil. Most recently, digitized fonts have been created locally, and mobile-friendly applications. Even though Sourashtran is an unofficial script, not taught in schools, it seems to be gaining traction through independent channels. “When a government promotes a language and its script as the official script of a region, it naturally gains wide currency as all day-to-day and official communication takes place in that script,” explained Govardanan Laguduva, a former professor at Sourashtra College in Madurai. “An inevitable consequence of this governmental promotion is the loss of `utilitarian value’ felt by the majority of the people using their own script till then.